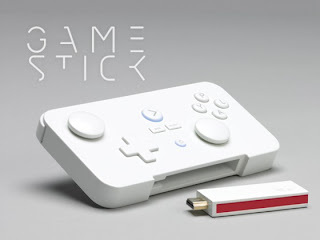 GameStick update KickStarter backers: Release pushed to June. The second big Android-based Kickstarter project after the OUYA was the Gamestick. The Gamestick minds have just released their latest update on how their project is going and unfortunately there's not great news for everyone. "We now expect to complete mechanical tooling about 4 weeks later at the end of May. Then the units are assembled, tested and assuming there are no issues, packed prior to shipping to each territory. We expect to ship around the 10th June. The volumes are now too large for us to be able to afford to air-freight them, which was our plan, so now we are going to have to use sea freight to deliver them. That's going to take around 2 weeks. Then we have fulfillment in territory – which we estimate will take between 1 and 5 days depending on where you are located. This means we think the likely date of arrival of your hand crafted GameStick will be at the last week of June." This means that the device will arrive just in time to compete head to head with the OUYA which will be available to the masses at the start of the same month! Again the guys reiterated their deals with GameStop in the US and GAME here in the UK just to show that they are still working hard behind the scenes and given that these two have more than 5,000 stores between them, but they added: "We’ve now got 27 retailers around the world engaged and placing orders for our micro-console." It's not great news for backers, but if delays mean that the product arrives much more complete and perfected then everyone will be happier!